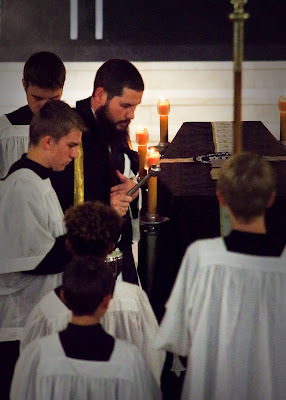 Many years ago, I read an interview with a famous “dissenting” theologian, as they are sometimes euphemistically called, (one who has now passed to his reward, and shall therefore remain nameless), in which he talked about the many things that had permanently disappeared from Catholic life, and of which younger Catholics would therefore never have any experience or memory. 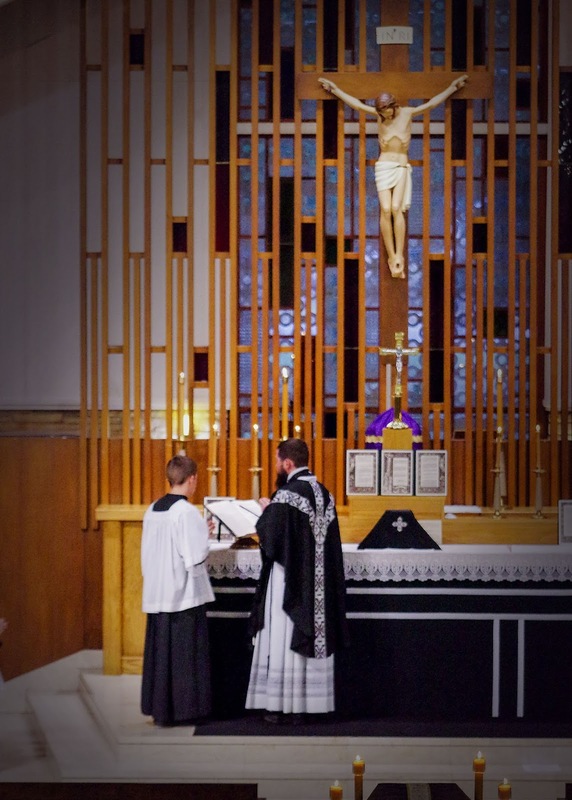 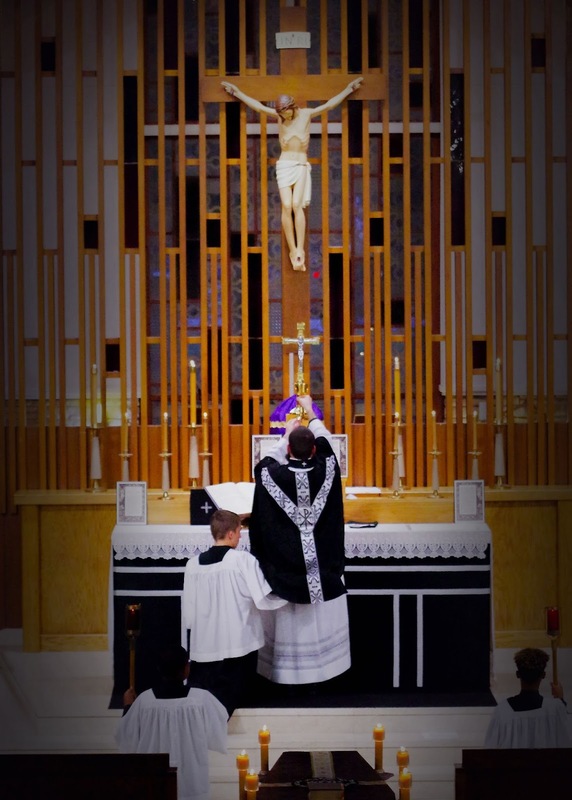 As I recall it, funeral Masses in black vestments were named among them, and this was said with something of a wistful tone, since even the most obdurate revolutionaries could hardly deny the powerful sense which the traditional Requiem communicates of the reality of death, of the necessity and efficacity of prayers for the dead, and the duty of offering them. 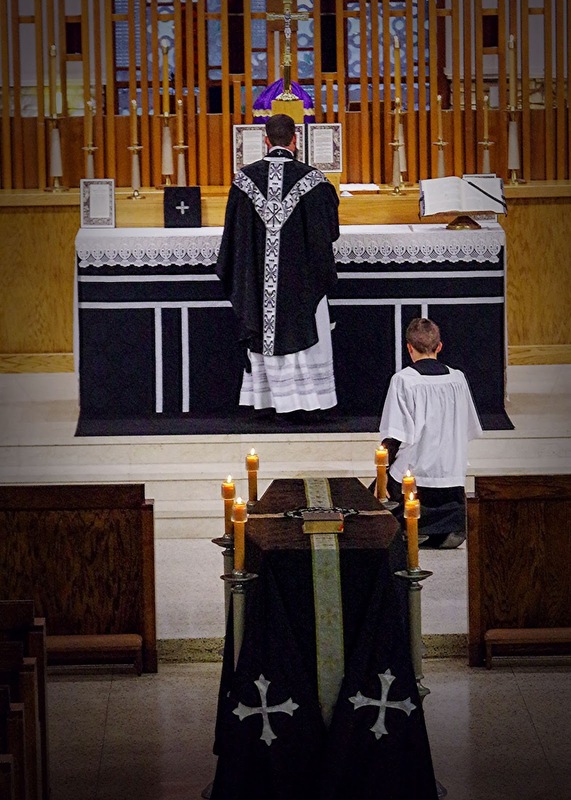 Perhaps (I speculate) even he sensed that white vestments, the same Alleluia which you hear every other weekend at the regular parish Mass, and “On Eagles’ Wings” are not quite the right thing to aid the prayers of a grieving family as they lay to rest a beloved parent or grandparent. 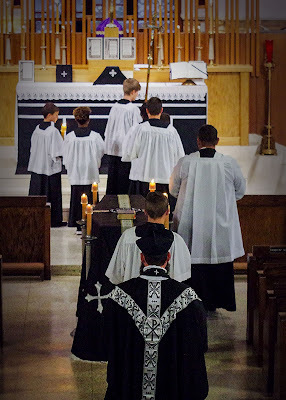 This admittedly rather vague memory came back to me as I was preparing our photopost for All Saints and All Souls earlier this week; we had far more submissions for the latter, and in all of them, the vestments were black. I then received this late entry from St Joan of Arc Catholic Church in Oberlin, Louisiana, and I am happy to give these photos their own post, because they show us very clearly that the memory of our Catholic traditions need not be lost to the young. 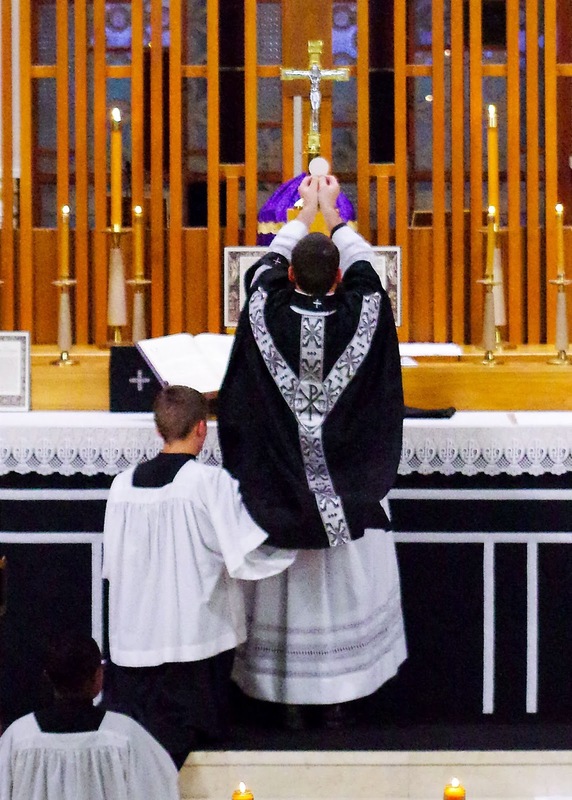 Since the motu proprio came out, we have the means to make sure that it is not, and, thank God, more and more people have the will to do so. 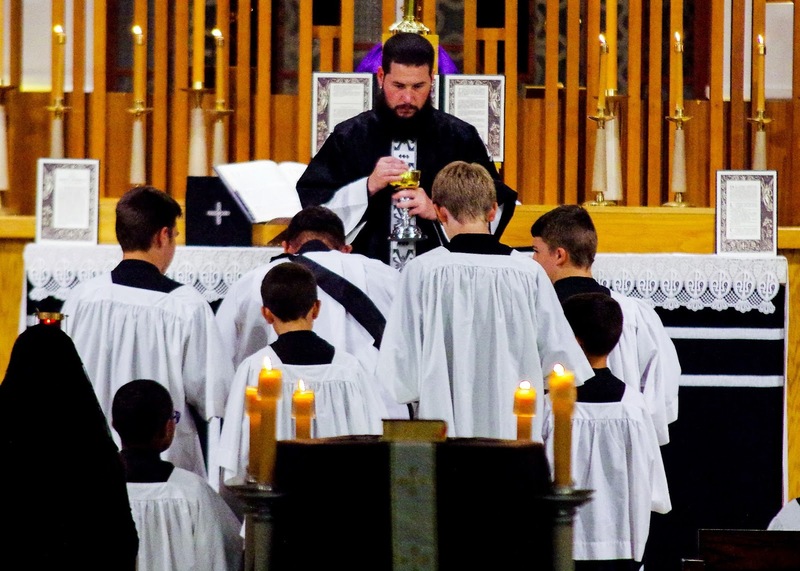 Surely we must be encouraged by seeing these young men participating in an ancient and solemn liturgy for which they are so clearly not just nostalgic.